The first International conference on Sustainable Fire Engineering (SFE 2016) will take place in Dublin on 28-30 September 2016 (full details here: Link). The BRegs Blog received permission from one of the SFE 2016 Management Team, Architect and Fire Consultant, CJ Walsh, to publish edited extracts from one of his blog posts on fire safety and housing. The full post may be accessed here (Link:). This issue remains relevant as the report on last year’s Newbridge Fire, scheduled for publication at the end of January, remains under lock and key at the Department of the Environment. Questions are also now being asked on the safety and value for money of the timber-framed ‘rapid’ housing under construction in Ballymun. Extract: It Happened One Night! 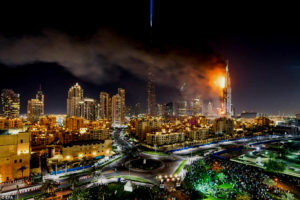 Maybe if it hadn’t been that particular night, amidst all the festivities of New Year’s Eve 2015, we would never have heard about the ‘Address Hotel’ fire, in Dubai (UAE). A long search on the Internet afterwards led to the detailed, post fire analysis report on the 2014 Lacrosse Docklands Fire, in Melbourne (Australia) followed by some more searching, and a very large can of worms opened up on similar nasty façade (external fabric) fires in many, many countries involving large chunks of flaming debris falling from terrific heights, carried by the wind to a significant distance away from the building of fire origin. It is clearly and amply evident that Conventional Fire Engineering as currently practiced, internationally, is no longer ‘fit for purpose’. 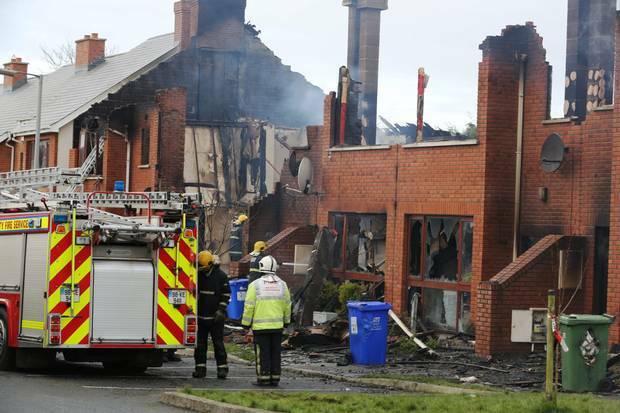 The general public was shocked and stunned, to put it mildly, by a very rapid and extensive 2015 Terraced Housing Fire on the outskirts of the Dublin Region. The time to flashover in modern high-performance housing, i.e. Sustainable/Green/PassivHaus/Eco/Bio/+Energy/Low Carbon/Zero Carbon/Smart can be seven times faster than in conventional/legacy housing or less than five minutes, compared with just over 29 minutes! All of this research can be found on the Links & Docs Page of the SFE 2016 DUBLIN Website. Let us be crystal clear; there is nothing Sustainable/Green/PassivHaus/Eco/Bio/+Energy/Low Carbon/Zero Carbon/Smart about the post-fire scenes of destruction shown above. And only for the physical separation between terraces, which can be clearly seen in the photograph below the fire would have kept spreading. Without a balanced, proper approach to the issue of Fire Safety in this type of modern, high-performance housing occupant safety is seriously threatened. So what needs to change? In Ireland, our immediate problem is Timber-Framed Housing and the following is an outline of what must change NOW! Party Walls, i.e. the walls separating one house from another, must be constructed of solid masonry, with a uniform and uncompromised thickness of at least 200 mm, plastered on both sides, not dry-lined, for adequate smoke resistance and be continued above the roof covering for at least 300 mm. An effective Residential/Domestic Fire Suppression System must be installed, e.g. low pressure water mist. Intermediate Timber Floors and Evacuation Routes, including fire resisting doorsets, must be reliably protected from fire and smoke. The minimum period of fire and smoke resistance must be linked to local fire service support infrastructure. In other words, the local fire services must be allowed sufficient time to arrive at the scene of a fire in strength to search for any occupants still remaining in the fire building and to bring the fire under control. Front and Back Entrance/Egress Doors must be outward opening. 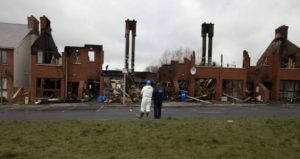 In the 2013 German PassivHaus Apartment Fire, the occupant found it extremely difficult to open inward opening doors and windows because of the high positive pressure caused by the developing fire. Internal Linings of External Walls must comprise 2 layers of plasterboard, with all joints staggered … steel fixed, at not more than 150 mm centres. Once fire breaches the internal lining of an external wall, the whole building will become involved in the fire. Horizontal and vertical fire sealing behind these linings, even if properly installed are too little and too late. Frontline fire fighters must be supported by specialist structural engineering and hazard appraisal units and light/portable/reliable Thermal Imaging Cameras must be recognized as a standard tool of fire fighting. In refurbishment projects where insulation is fixed to internal faces of external walls similar fire safety problems are present, and they must be solved. Refer again to the PassivHaus Apartment Fire in Köln, Germany, on the night of 5 February 2013. About the Author: C.J. Walsh B Arch FRIAI MIBCI MIFS MIFireE is a Consultant Architect, Fire Engineer & Technical Controller. 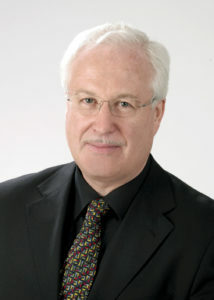 He is also a consultant to An Bord Pleanála and legally registered, in Ireland, as an ‘Architect’. IFE – Institution of Fire Engineers. This entry was posted in Building Regulations on April 25, 2016 by BRegs Admin. 1. Can this ‘research’ not be quoted in the body of the article?